Regardless of the weather in your neck of the woods, there’s one thing you can’t escape at this time of year: Autumn fashion slowly filling up stores. 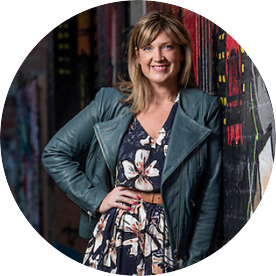 While I LOVE to see all new season styles coming through, it can be a bit weird contemplating wearing heavy knits, long sleeved tops and dresses and Winter boots when it’s Hot as Help Me Rhonda outside. 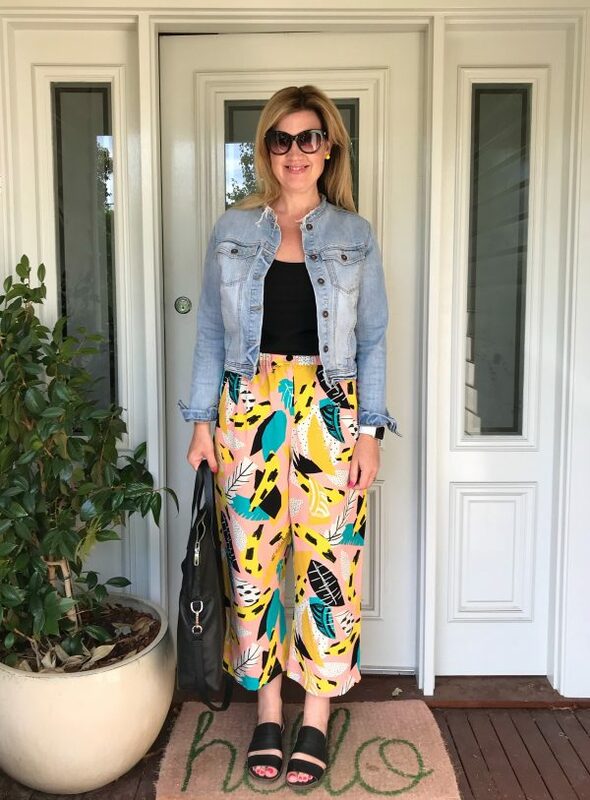 One approach I often take at transitional times like these is to embrace a new season trend or colour – a little something often adds that end of season variety I’m looking for. Sometimes I look for a piece I can wear now or other times, for a piece I pull out as soon as the mercury drops, which in Melbourne, is – frankly – anytime, so I take the girl scout approach to always Be Prepared. The trend that’s speaking to me right now is that burnt yellow hue sometimes known as ochre, honey, marigold or mustard. Semantics aside, it’s a colour which is everywhere at the moment and is SO striking. 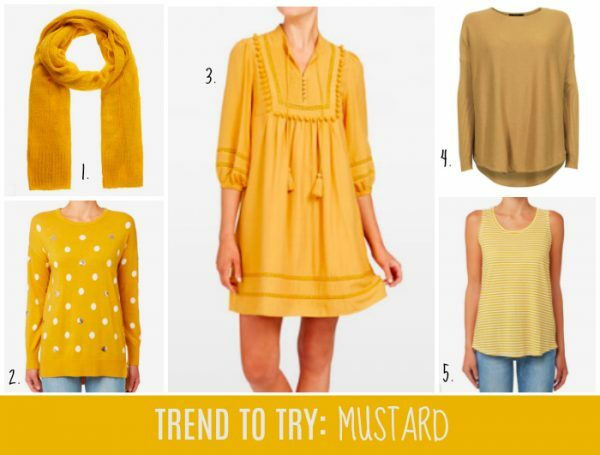 Whichever way you call it, a small dose of mustard will make a big impact in your trans-seasonal wardrobe. 5. Keepsake Pouch, $55 from Boden. So how to wear mustard? Technically speaking, mustard is not a colour that “suits” me. I still wear it and love it though and receive compliments whenever I wear it. I don’t shy away from colours that don’t “suit” as I love to have plenty of variety in my wardrobe colour wise, but I’ve worked out what to pair it with so it flatters. Here are some of the ways I love to wear it. For a mustard coloured dress, I’d wear tan sandals or boots and my favourite denim jacket, a pair of statement earrings. A bold pink lip – whenever I wear mustard I wear a bright pink lipstick. The contrast in colour is flattering and lifts my whole look. If I’m wearing mustard close to my face, without the contrast of the blue of my denim jacket or this pop of colour, I can look quite washed out. I tend to opt for a bright candy pink or a deeper shade like magenta which lifts everything. For more mild weather options, check out this Printed Scarf and Peplum Tank. These Ochre pants from Gorman will add a serious pop of colour to your Autumn ‘robe. Trinity Jersey Dress, both from Boden. 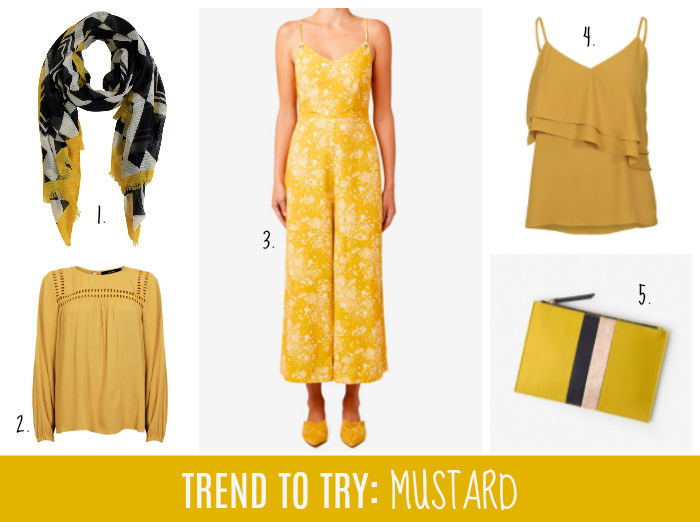 So over to you – is there any mustard in your wardrobe? How do you like to wear it?